It’s Sunday evening as I write this blog. Earlier this afternoon, I pulled out a photo album of a trip hubby and I did to England over two decades ago. He had seen a photograph this past week on Facebook and said it looked so familiar. 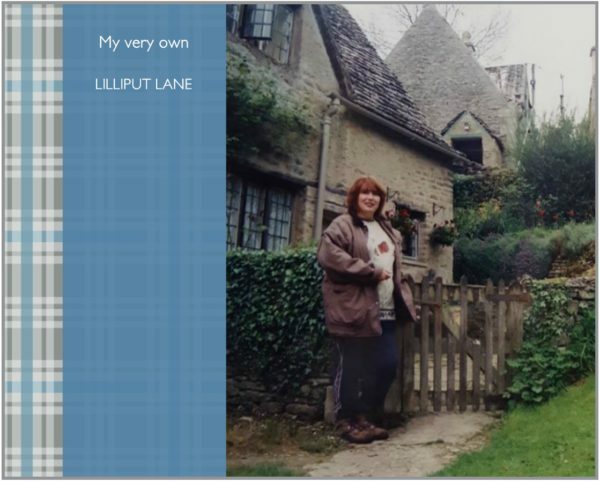 I immediately recognized the place—we had passed through the Cotswolds on our journey, and I’d aptly named this place “my very own Lilliput Lane” (I was an avid collector of those little molded clay houses back then). Anyway, tucked in front of the album I found an envelope of photographs of a different trip to England, one I’d taken with my parents and son, then twelve, in 1999. I found a beautiful photo of my mom and dad taken on that same holiday together. Earlier in the week I had photographed a hanging on my kitchen wall for a 7-Day photo challenge I was tagged in on Facebook. I had given my parents these two wall hangings as gifts on one of their last Christmases. The words of the one hanging at the top resounded with me when I found this photo of my parents—“Grow old with me, the best is yet to come.” And they did grow old together, passing away at the ages of 88 and 87, and married for almost 66 years. Now, together for eternity in heaven, the best has come. What a privilege to grow up in a family where my parents loved each other so much that my dad couldn’t live without my mom, following her to heaven 33 days after she died. His comment made me reflect on how this photo, and every photo I have of my parents, are like postcards from heaven—memories of special days gone by. I pray that Noel and I, like my mom and dad, will be blessed to be together until we’re old, wrinkly, and gray. But nobody is guaranteed tomorrow. So while we still walk this earth together, I’ll take these photos, make these memories, because one day they will be our postcards from heaven—either for me, or for Noel, or for our children and grandchildren. What a blessing, thanks for sharing your family and obviously loved and cherished moments. The road is not always easy, but I pray that my husband and I have a lifetime here together, but more importantly, eternity together in Heaven. Thanks so much :) Yes, eternity is all that matters. Beautiful post, Marion. Your parent’s relationship sounds very much like my own. Married for 56 years, my father treats my mother as though they were just married yesterday. As he struggles to deal with her dementia diagnosis, his patience and love for her seems to grow stronger with each passing day. Thank you , Jill. We are so blessed to have parents like that to learn from in our own marriages. This is beautiful Marion, thank you for sharing. I love the idea of postcards from Heaven being the photos you take today or yesteryear. What beautiful memories there will be for your family. A true love book that speaks louder than words. 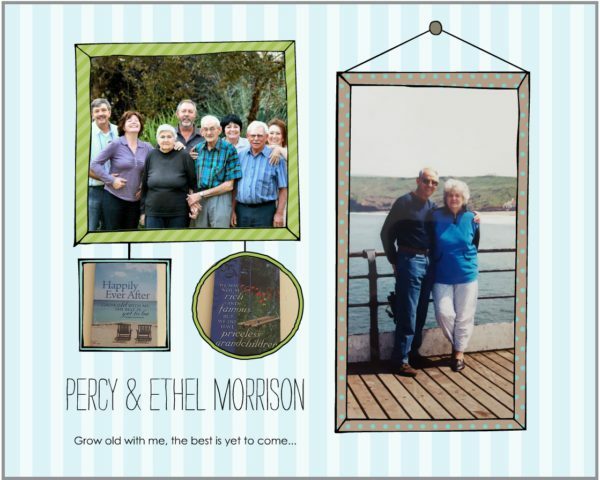 Thought provoking post about keeping memories alive for our children and grandchildren. For Christmas 2012, I gave my sons their childhood photo albums and added this quote, “Memory is a way of holding onto the things you love, the things you are, the things you never want to lose.” ~From the television show The Wonder Years. My parents had a wonderful relationship. They were married 59 years when my mom passed at age 86. My dad lived another 7 years and lived to be 96. To have my son remember their Oma and Opa and my grandchildren to remember their great grandfather, I gave each son a Christmas ornament with my parents picture to hang on their Christmas tree. Happy birthday to your husband. 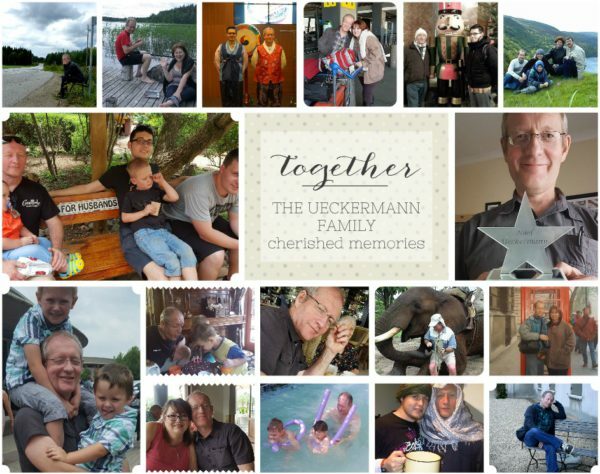 Keeping making memories and preserving them in your wonderful photos. Best wishes on your upcoming adventure. I love this post. Grow old with me. That resonated with me. We grow old with our earthly relationships but we also can grow old with God. As we grow old with our spouses, our families, we can grow old in our walk with God. As we experience and grow in family ties, we can experience and grow in our walk with God. Wonderful post!! LOVE this post! Memories and pictures really are our wonderful treasures! 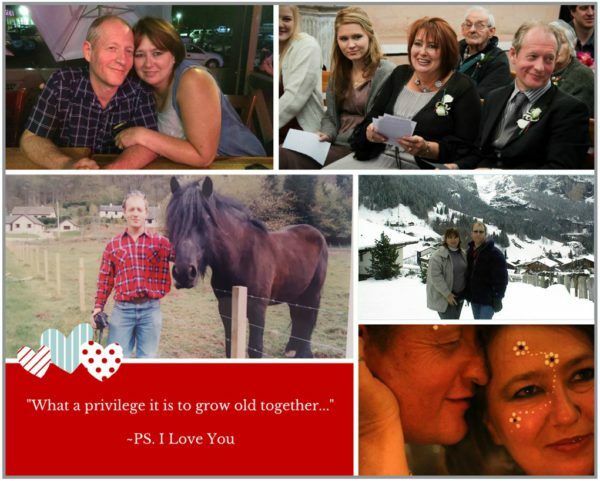 We have been married for 40 years, and we love growing old together. Now I will be thinking of our photos as “postcards from heaven.” Love, Love, LOVE!! Aw, thanks so much, Becky :) I loved the line in that movie … it’s a privilege to grow old together. Indeed it is. Hard as it was to lose both parents in such a short space of time, I am glad my dad didn’t have to do life without my mom. Suffering from altzheimer’s he didn’t understand her death, and kept asking where she was. Each time we had to tell him, he relived the agony of hearing the news. The day after her death we decided that wasn’t going to work, so we told him she was visiting. But, he was just lost without her. I am forever grateful to our Heavenly Father, for letting us have so many years with our parents, and them with each other. Beautiful post and so true. My hubby passed away in 1997 the day before his 56th birthday after 31 years of marriage. I love my picture memories. They are wonderful reminders of those we love who are no longer with us. I’m so grateful for every photo I have of my parents, and get so excited when I find a new one I didn’t realize existed :) So glad you have picture memories of your beloved hubby. What a beautiful story. I pray my husband and I will also have the privilege to grow old together.. and take many pictures as a postcard to our memories together. Beautiful, Marion! Praying that you and Noel grow wonderfully old together! Lovely post and fabulous memories Marion. Thanks for the ideas it stimulates! I have many photos on my digital camera I really need to get off & your post has encouraged me to do so! Beautiful post Marion and your advice is good. Photos of loved ones who go ahead of us to heaven are so precious.